Darius Theus scored a game-high 27 points in tonight’s Ram Nation TBT win. Yesterday’s Ram Nation TBT win needed a huge second half rally to advance to the round of 32. Today’s game was never in doubt. 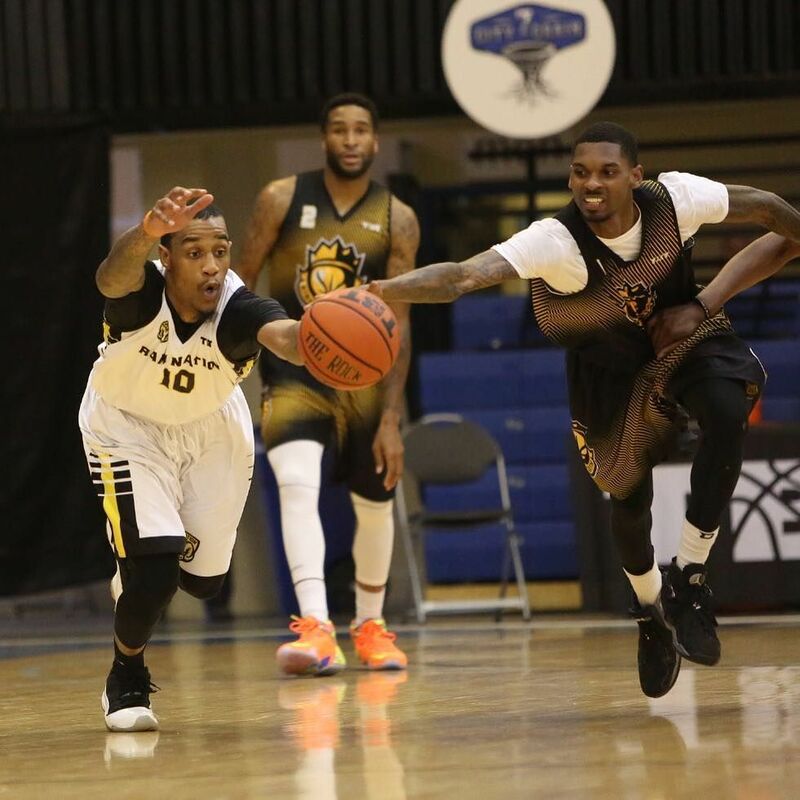 Team Ram Nation jumped out to a five-point halftime lead before exploding in the second half, outscoring the Kings of the South 59-38 in the second half in the Rams’ 102-76 Basketball Tournament win, punching a ticket to Philadelphia and the Sweet 16 in the process. Darius Theus was one of six Ram Nation players to score in double-digits in the win, dropping a team-high 27 points to go with his four rebounds, three assists and three steals in the win. Theus paced the Rams in a game the VCU alumni group would shoot 52.2% from the field and a hot 37.5% from deep. Bradford Burgess and Brandon Rozzell had their second big nights of the tournament, adding 15 points and 14 points respectively. B.A. Walker added 14 of his own and a game-high five assists. Jesse Pellot-Rosa and player/coach Joey Rodriguez posted 12 and 10 points, Rodriguez coming off the bench to drop a quick 10 points on 4-4 shooting in just 11 minutes of action. The Rams held the Kings to just 38 points in each half a night after the Southern-based team of former DI hoopers dumped 113 on a group of recent Davidson alumni playing as the Cat Pack. The win advances Ram Nation to a Sweet 16 meeting with the reigning TBT champ, Overseas Elite, a group of overseas professionals who downed VCU great Jamal Shuler’s HBC team, 91-84 earlier in the afternoon. Ram Nation will take on Overseas Elite on July 21st in Philadelphia, PA at Philadelphia University. Tickets can be purchased through www.thetournament.com.